Song River: Has anyone ever suggested the words, Slow Down? And if they did, would you listen? 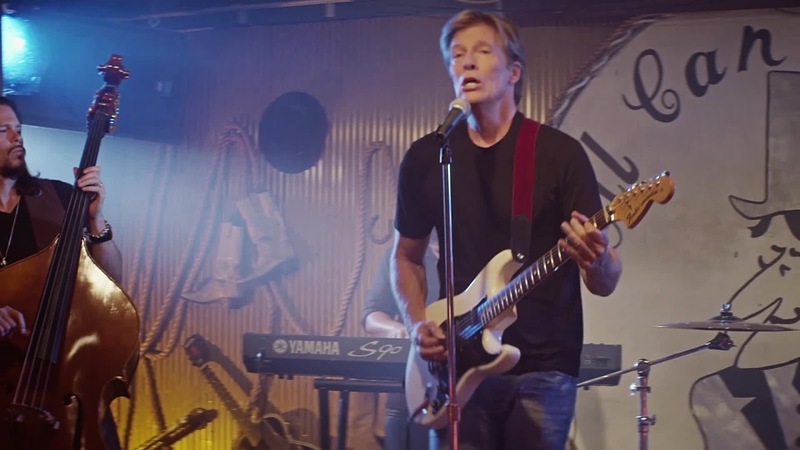 Jack Wagner: (laughed) Yes, when I am breathing or thinking. I believe it isn't about being busy in business, but choosing to excel. That is a daily thing. Plus, I am blessed with my talent- music, art, acting and being involved as a parent with my children. S: The diversity of arts you're involved in: theater, TV, movies, plus your golfing- did it all come naturally or are there certain parts you have to work at harder than others? When did the fervor for acting take hold? Jack: Real work for me comes in acting. I had attended the University of Arizona in hopes of gaining a golfing scholarship, that didn't work out. Went over to the drama department program instead, and landed a full scholarship. That is when my love for becoming an actor really took hold. There are still strong ties too to the UofA, during the drama departments 75th Anniversary celebration about twelve years ago, I was approached about setting up a Jack Wagner Scholarship in the Thespian Department. So, this gift of acting I still get to give back to and receive so much. S: If you were to give highlights from General Hospital and Melrose Place what would be a few? Jack: I would say two of the biggest were getting the parts in both shows and the process I took to get there. Really, obtaining any part is the largest triumph. The training I had during my days working with Gloria Monty (Producer of General Hospital), has stayed with me even today. What is written, the script, has to be interpreted by everyone involved. I work my material, without insulting the writers. Gloria taught me-- its a collaborative effort. Reflecting back on General Hospital- millions of college age kids watched it. Gloria was partly responsible for getting daytime soaps turned back around. GH gave me an outlet for my music direction too. That offered me a musical career as well. Sure I battled the stereotype of soap opera-singer, but it let me develop a whole other layer of what I enjoy. Melrose was just a great show, working with Aaron Spelling and his allowing me to direct. It was great to make a move to night time TV. S: Last year you released an Americana flavored album, On the Porch. How did the original music reflect your roots? Jack: The whole feel of the album to me reflected the title, it felt like sitting on the front porch kind of music. The album's I had recorded under Quincy Jones, were to the formula of that time. After that I produced music under the formula of Brad Bell. This album, On the Porch, though is completely independent. Alive. S: I understand your son, Peter, joins you on stage at times? Jack: He comes up with me on the encores. The fans love him, he gets to connect and touch the stage. I love having him join me. He has been for the last couple of years when we are out on tour. S: You played at BB Kings concert in NY I understand recently, and as this will segue well into our next topic... I understand the president of Hallmark was there and joined you for supper after the show? Jack: Yes, Bill Abbott, (CEO of Hallmark), Brad Krevoy, and some of the Hallmark staff were invited. I think they were surprised. My music is off the set of the series we are working on, one that is set so prim and proper, so to see me rocking out, they really didn't know what to expect, and they were blown away! 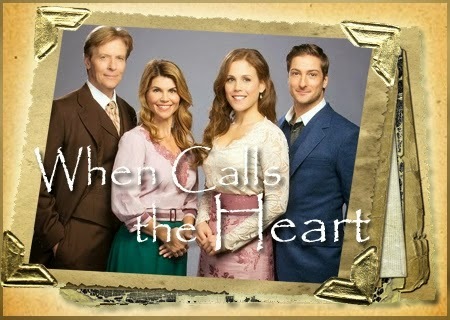 It was great during the show, as the next season of When Calls the Heart I am in, was mentioned- the spotlight was placed back on Bill. Hallmark really is the family entertainment network everyone can sit down together and watch. People have been missing that. So many shows focus on the negative, and this is where Bill has come in with Hallmark and created this connection again with families and family viewing time. Everyone can watch and follow along to a well-written series. S: Now the second season I understand of, When Calls the Heart, will be beginning its continuation. Were you pleasantly surprised when you were requested to return? Jack: Honestly, not really. I play golf with Bill and Brad. I had been brought in the last two episodes this past season. That spark Bill was looking for happened. Much of the series fan base comes from my days on General Hospital, so he asked me to come back. It was funny, we were at dinner and Bill asked me, “Would you consider doing the show, how about the whole series?” Of course, I said yes. Then Bill went on, “What would you think about bribing Felicia in?” (laughed) Funny thing is Felicia (formerly of General Hospital played opposite of Jack Wagner in the day) has a name! It is Kristina! So, I called her and here we are! I think if you were to sum up the back story to this... it would be... I wonder what these two would be like outside of General Hospital in another series together again? Kristina has such a genuine kindness about her, a soft voice, she fits the part. S: When does the season pick up? Jack: April 25th on the Hallmark Channel. S: Where is the filming location? Jack: Vancouver. Absolutely beautiful place, far enough away from the towns where we aren't bothered at all. It is perfect. S: Talk to us a bit about the series, and your character, and did you think the show would be as popular as it has become? Jack: I am a forensics inspector for the explosion that occurred and killed all the men in the coal mine. The series of course will open with the trial. 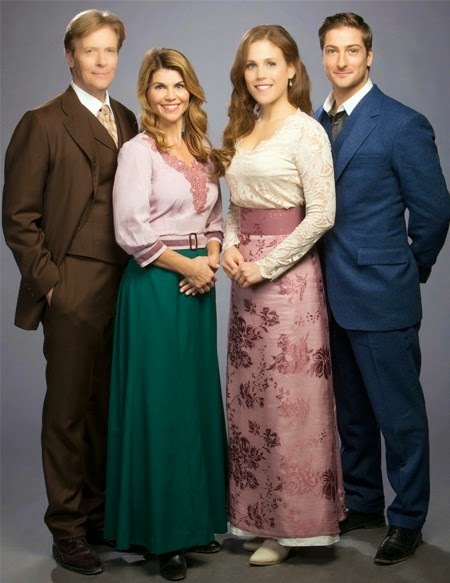 During all of this, of course a love interest develops over sharing a piece of blueberry pie with the character, Lori Loughlin plays, Abigail Stanton, and a kiss that happens. (laughed) You know sharing a piece of pie back then was basically like going to second base. The back-story then comes forth on me, my wife and child. And yes, without question, it's a Hallmark production and that right there makes it popular. S: How has it been working with actress Lori Loughlin? And as she portrays, Abigail Stanton, can fans of the show get a further glimpse into what happens between the two of you? Working with Lori is great. She started out in soap operas too, and went on into TV series. When we work together we both work on the script coming from the same place- again that cohesiveness of the whole working together, to make it as good as we can. Also, her husband and I are actually very good friends, we play golf together. So while we were on set we would take goofy pictures of ourselves and send them to him. S: Quite often when we find ourselves viewing period times, and we look at the clothing, we think... my goodness how did women wear so many layers? However, after watching the video clip on the male wardrobes during that time, especially the well to do men, they wore a considerable amount of clothing. How important is what the actor wears to the fine details to the character? Jack: Very important, as it helps me step into character. I remember stepping into the clothing when I was doing theatre, Jekyll and Hyde, and how different it made me feel, so I could become the character- live it, breathe it. I would say for period performances it is crucial. S: When you are portraying period times such as these, do you ever wistfully think of those times when things maybe seemed a bit more innocent, and a man's word was as good as a handshake? The dynamics back then were different. A split dichotomy really. On one hand inside the saloon you have the gun, where if you didn't like something you would shoot the person, but then outside you would have the handshake of agreement between two. S: What is planned in the near future Jack? I heard you were on RayDonovan's Showtime program-when is that airing? Jack: Yes, that is in July and it is going to be great! Really looking forward to Ray's broadcast.